New episode in the trial of the year: Apple vs. Samsung at the courthouse in San Jose, California. Samsung's lawyers have been exploring different options this week to reverse the judgment convicting South Korea to pay one billion dollars to Apple and now accuses the president of the jury of favoring Apple personal conditions. According to Samsung's lawyers, Velvin Hogan was sued years ago by Seagate Company, a firm that has a close business relationship with Samsung. 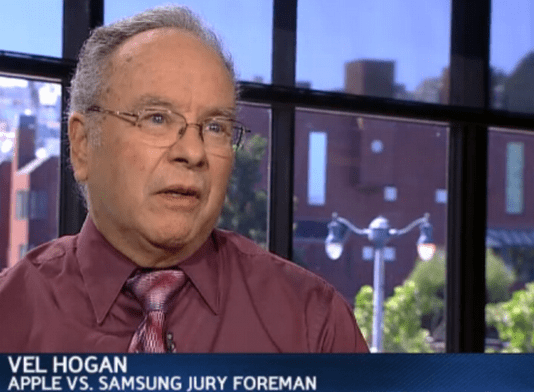 Demand Hogan took to ruin and Samsung believes that this could have influenced their decision when evaluating the facts presented during the course of the trial. Judge Lucy Koh has granted Samsung a new hearing on 6 December. However, Samsung is unlikely to change the sentence, since Hogan has said that before starting the trial revealed their disputes with Seagate. Article Samsung accuses juror of favoring Apple was originally published in News iPhone .